Argo Industries “See-It” line of toys includes an oven, popcorn maker, and cotton candy machine. 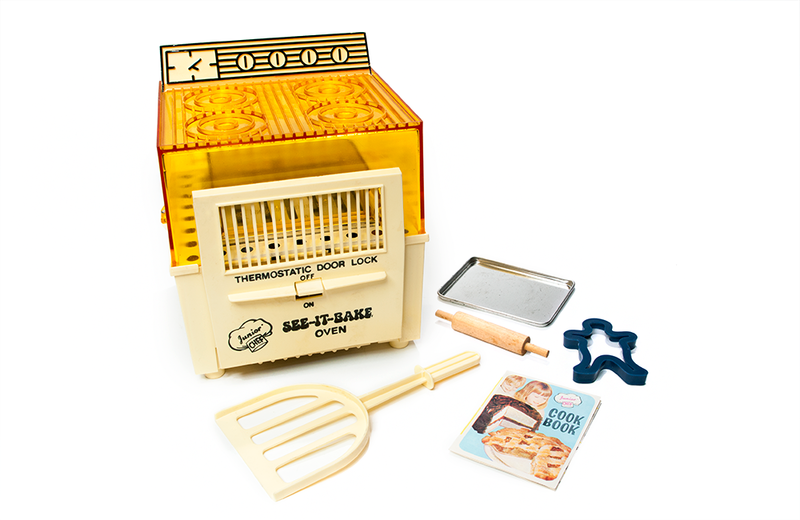 The popularity of Kenner’s Easy-Bake Oven toy line inspired some competing toy ovens in the late 1960s and 1970s. 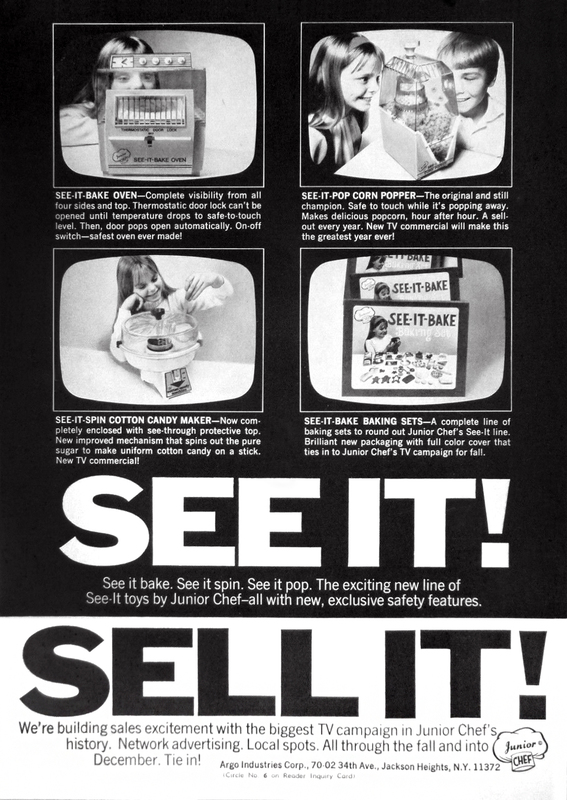 In 1971, Argo Industries launched a line of Junior Chef “See-It” toys that included the See-It-Bake Oven. Powered by a single 100-watt incandescent light bulb, the See-It-Bake Oven was constructed with a clear plastic top, allowing young bakers to watch their culinary concoctions bake in real-time. The oven’s other significant feature was safety-driven. Pans were loaded via a latch/door on the front of the toy. While in operation, the thermostatic safety door would remain locked until the oven was at a cool enough temperature to remove pans without burning the chef. The cooling-down process usually took 10-12 minutes. The See-It-Bake oven came with 6 mixes and 11 utensils, including cookie cutters, a measuring spoon, and 5 different pans. For a short time, the See-It-Bake oven was also re-branded and sold under the Sears, Roebuck & Company brand.